One can never have enough Japanese food. 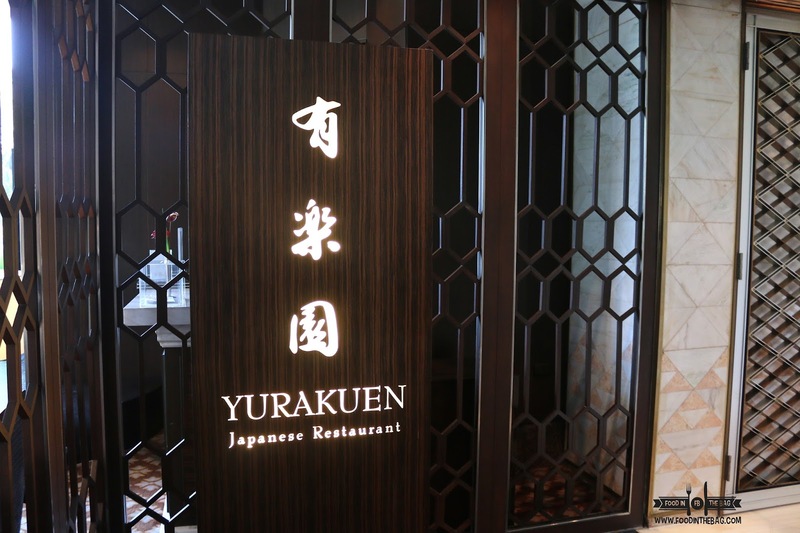 At YURAKUEN, they entice you to a spread of delicious mouth watery goodness all in an attempt to transport you to a place magical place far far away. Huge doors greet one after walking through a long walkway. 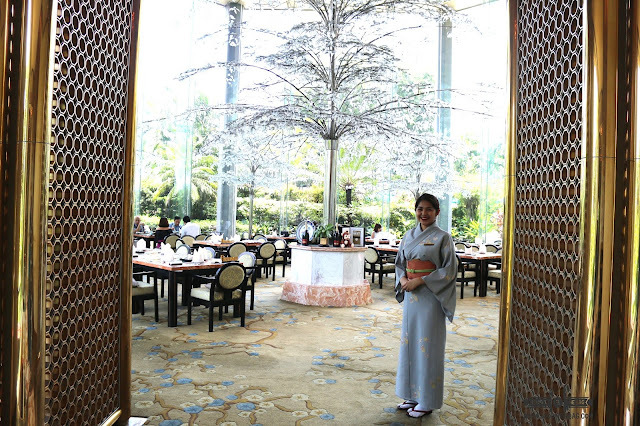 An escape from the concrete jungle, the main dining hall of YURAKUEN is an excellent place for a relaxing getaway. 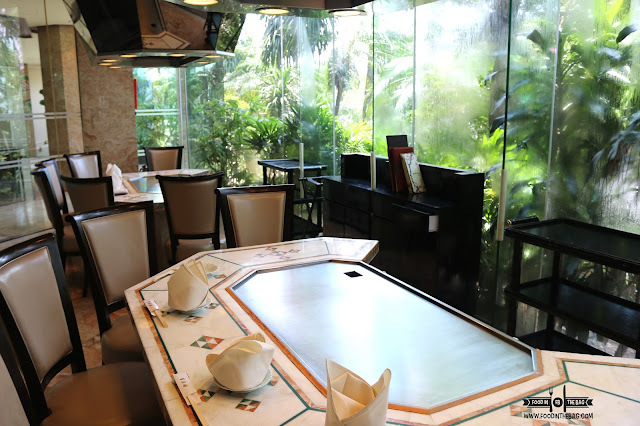 If one would wish to do teppanyaki, small private rooms are prepared with excellent exhaust and equipped with proper equipment to give you a show. To start a proper Japanese meal, appetizers must be served to whet the appetite. 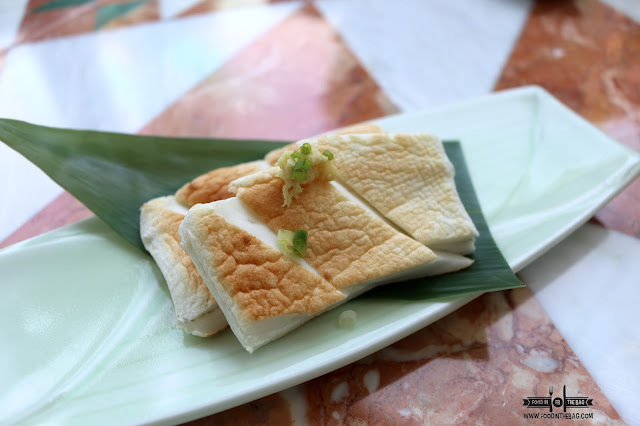 The Yaki Hampen is a fish dish that is mixed with Japanese Yam and egg white and is turned into a paste. This is a bit addictive and is actually viewed as a medical food. Something healthy to start. 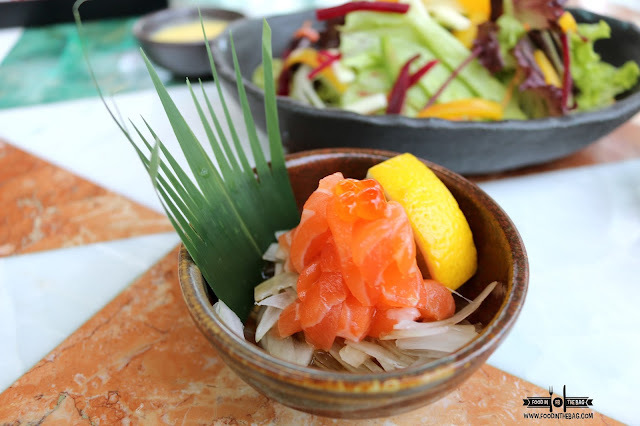 Fresh Salmon is mixed with onion and lemon sauce to give it a zesty flavor. A perfect precursor to salad. Guests are given a plethora of choices. For salads, a couple from the list would be the Mango and the Kani. 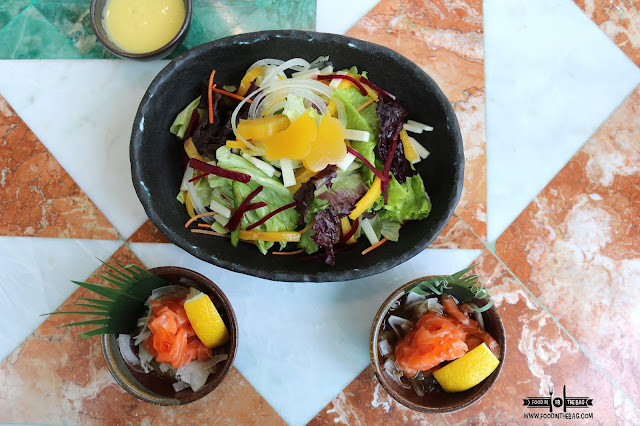 The Mango salad is mixed with a vinaigrette that is on the sweet side. On the other hand, the Kani has a Japanese Mayo dressing giving it a bit of familiarity. 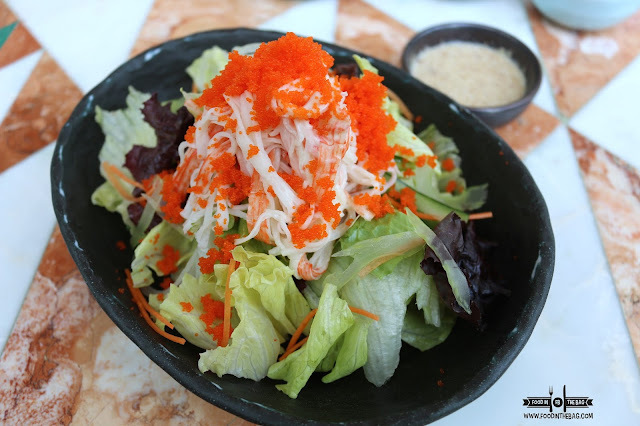 For a person that tries to stay away from salad, you might want to get the BEEF SHABU-SHABU salad. 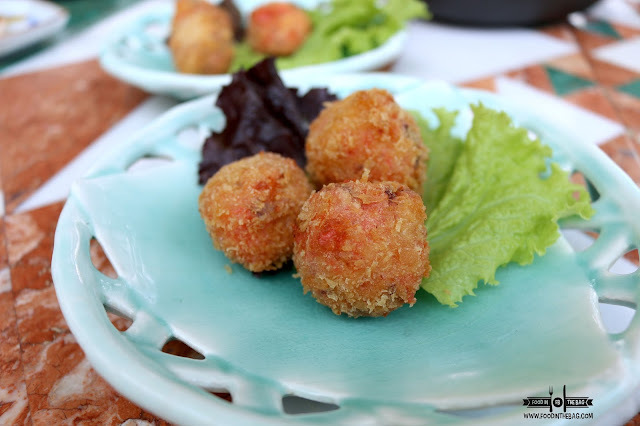 Looking like ordinary croquettes, these balls have squid inside the salmon meat. As such, each bite has something to look forward to. Vegetarians would rejoice as YURAKUEN thinks about them too. 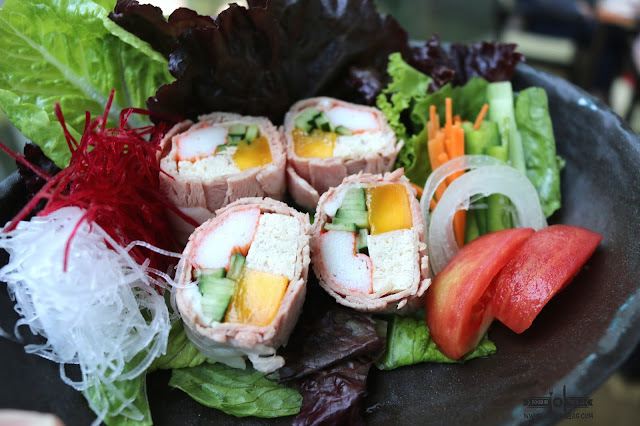 They have the VEGETABLE ROLL that is packed with healthy ingredients like mangoes and other green parts. Not for a carnivore but definitely is worth a try. 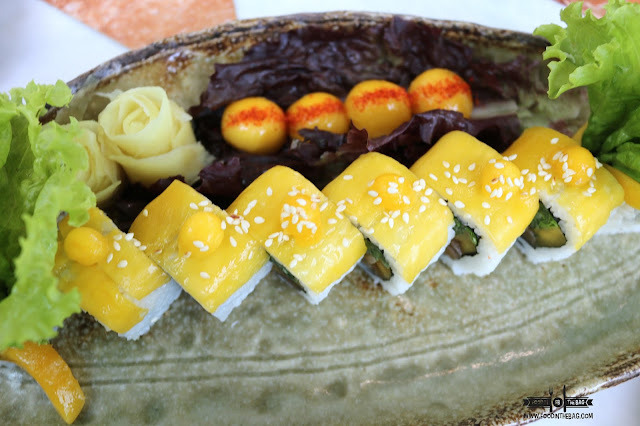 A special kind of roll, the YURAKUEN is a must order. 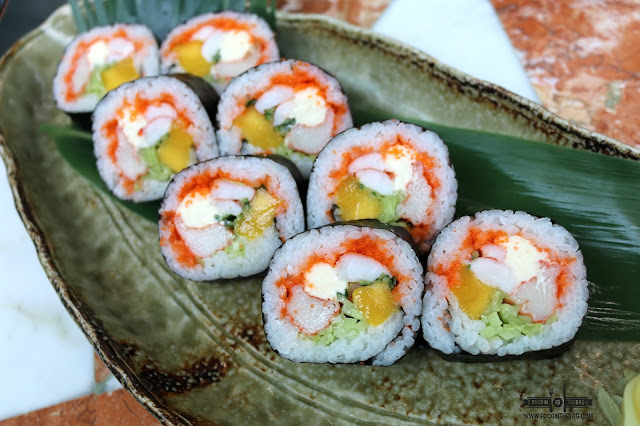 Similar to a California Maki, this one has twice the meat and a layer of cream cheese. 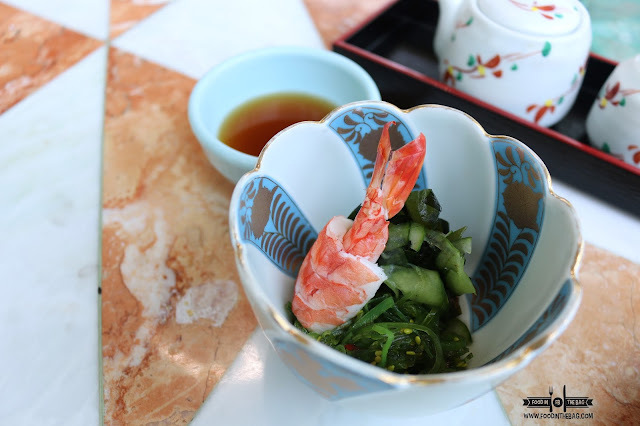 FRESHNESS is an important aspect of JAPANESE FOOD. At YURAKUEN, they take this very seriously. 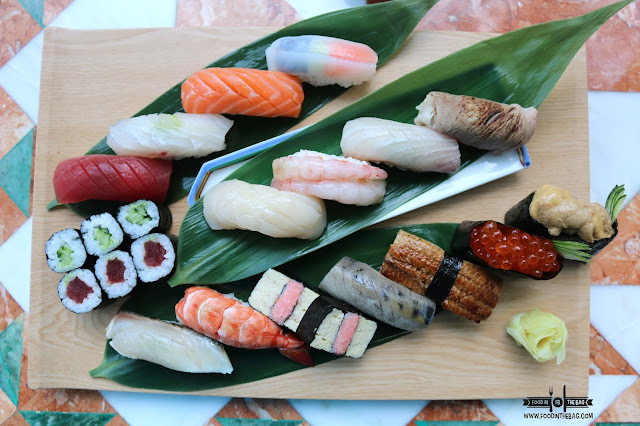 Freshly sliced selection and chef's choices would compose the 9 KINDS OF SASHIMI. Served with a little bit of flair, you can never go wrong with this plate. Filled with the fresh catch of the day, you should go ahead and take the plunge. The uni is sweet and buttery. Each bite from the different sashimi would illicit a bit of ooh and ahhs. 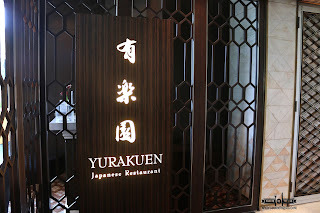 If this is any indication of what they have in store for their guests, YURAKUEN no doubt knows how to deliver. 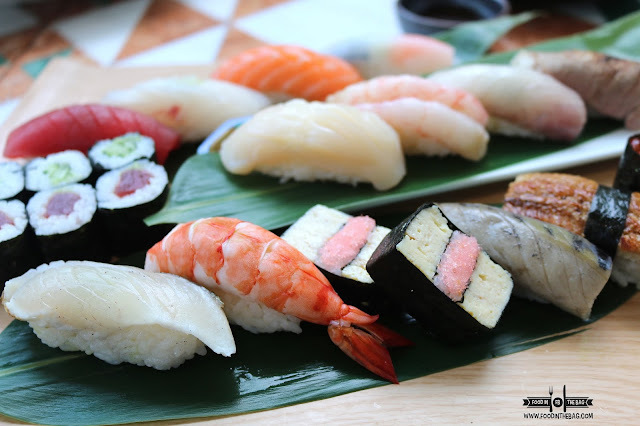 Rice lovers, on the other hand, would go well with choosing the TOKUJO NIGIRI. Hand pressed and combined with high quality rice, the flavor from the meat pops out with each bite. Diners that aren't quite into raw dishes, would also appreciate that there are a lot of grilled and cooked items that would make their stomachs happy. 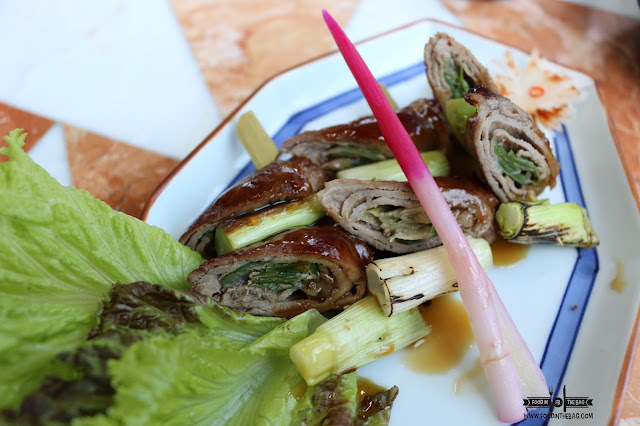 For something on the sweet side, you could go for the BEEF NEGI ROLL TERIYAKI. 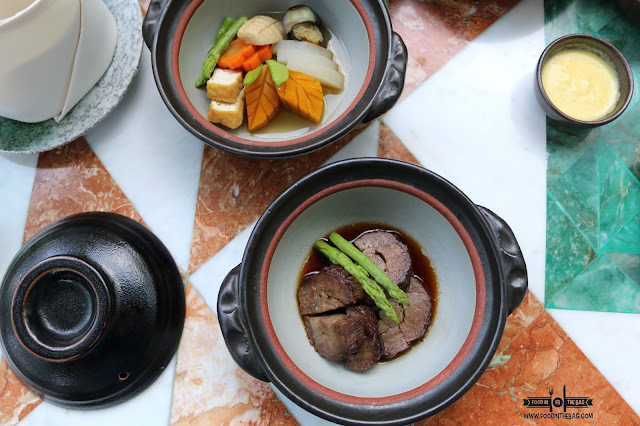 The BUTA KAKUNI is a pork dish that one might mistaken for beef. The tenderness is on point and is unmistakenly delicious. 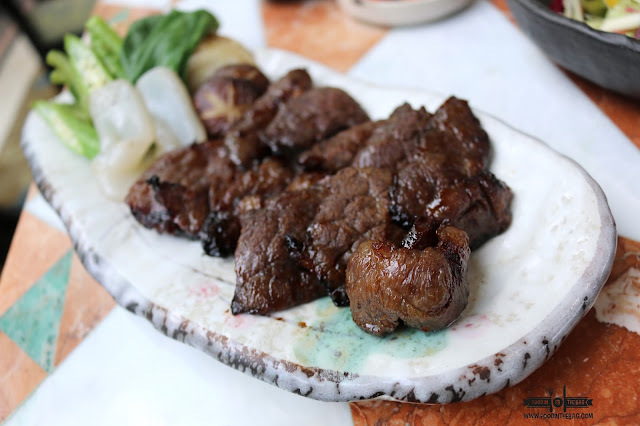 Something from the grill, the BEEF KALBIE YAKI NIKU is definitely worth the waiting for. But if there was one beef dish you shouldn't miss, it should be the WAGYU. 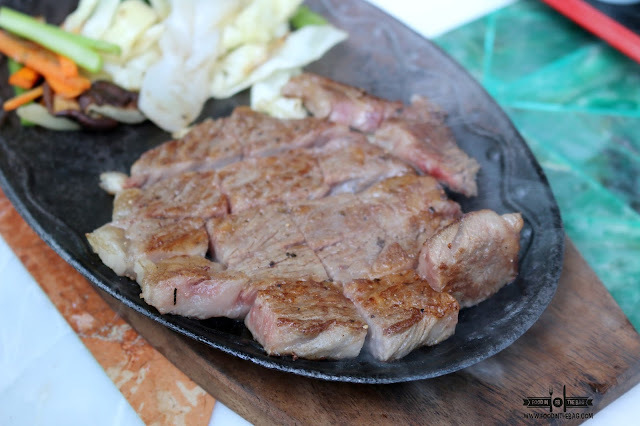 Served on a sizzling plate, get a piece after a few seconds as it cooks instantly. The marbling shows the high quality. After one bite, experience and understand the price tag that came with it. There's a certain flavor and texture that brings out the goodness. Solo diners need not worry as there are also sets that are available for lunch or dinner. 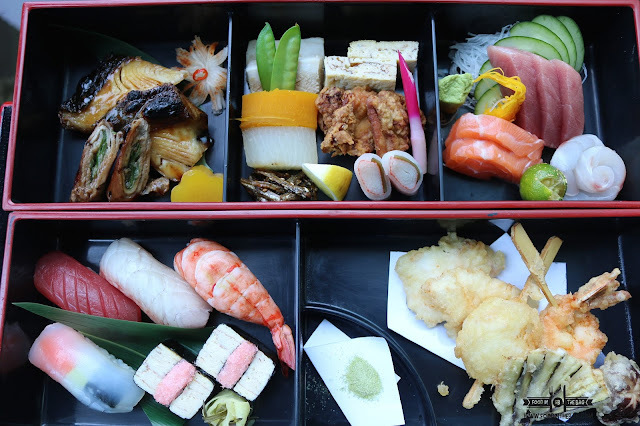 For someone that might be indecisive, they could go for a BENTO. 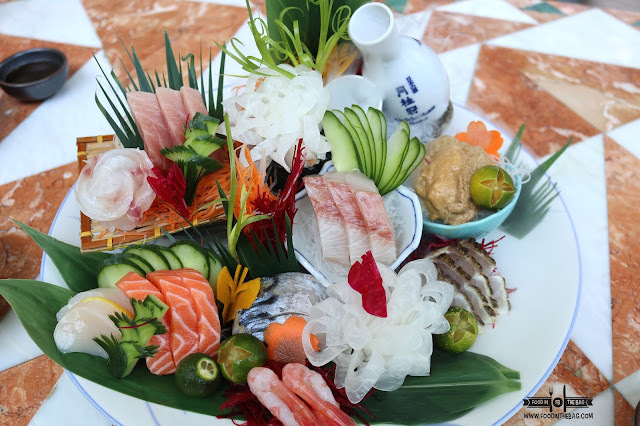 It might have some tempura, grilled meat, an assortment of sashimi. 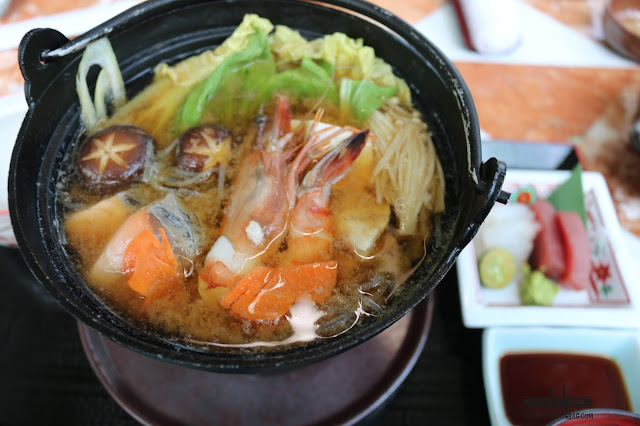 If soups the bet, YURAKUEN has the CHIRINABE BENTO SET that has excellent soup option that is filled with seafood and has different sides as well. 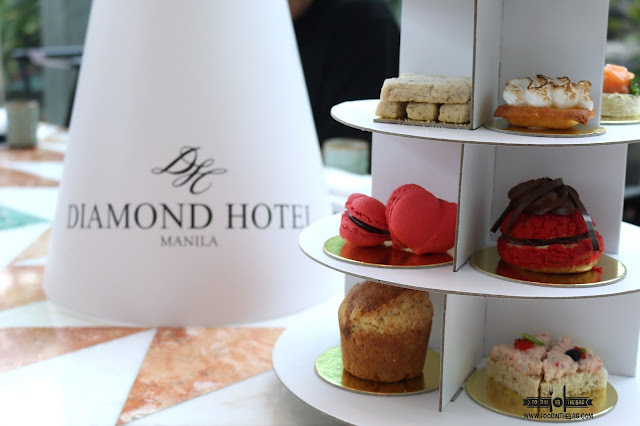 "For an afternoon tea experience, your might enjoy this AFTERNOON TEA TAKEAWAY by Diamond Hotel. 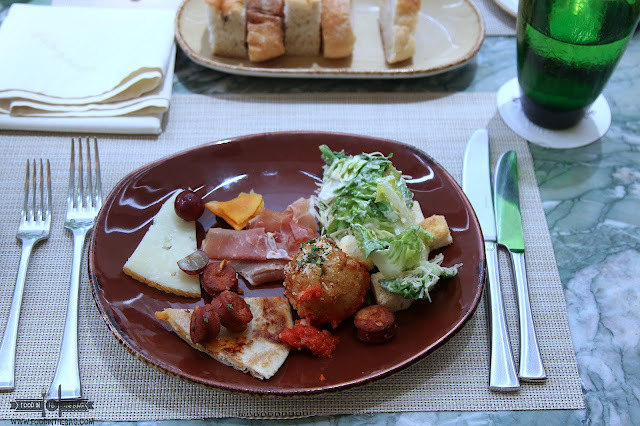 Priced at Php 1,280 nett, this spread is good for 3-5 persons." Roxas Blvd cor. J Quintos St.
P.S. This is an amazing Dinner Date place. Perfect for that occasion. Disclaimer: Was invited to try the spread. Wrote this based on my experience.